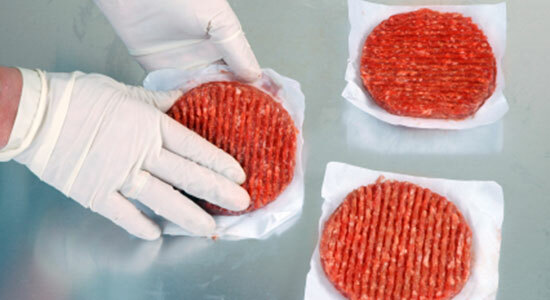 USDA Deems Tainted Beef "Unfit for Human Food"
US health officials initially believed retailers in only six states received shipments of contaminated beef products from Rancho Feeding Corp. However, weeks later the grisly recall involving "unwholesome" beef products spread to 35 states, including Pennsylvania. Rancho Feeding Corp, the California-based meat producer, originally recalled 40,000 pounds of beef products after the USDA determined the meat came from diseased and unsound animals that weren't properly inspected. The recall has since expanded to include 8.7 million pounds of meat and covers a vast array of different beef products—Find the full list of recalled products here. Health inspectors report the meat products involved are "adulterated, unfit for human food, and must be removed from commerce." They suspect these products may have been shipped as far away as Guam. Thousands of retail locations may have received the affected beef products—see the full list of retailers here. In response to the Rancho recall, Nestle USA issued their own recall of various Hot Pockets that may have contained the contaminated meat. The Hot Pockets involved were the two-pack box of Croissant Crust Philly Steak and Cheese, and three separate-sized packs of Philly Steak and Cheese. Although there have been no reports of illness so far, this is a Class I recall. The USDA reserves this distinction for health hazard situations where there is a reasonable probability that a product will cause serious health consequences or death. Were You Injured After Eating Contaminated Food? Did you or a loved one suffer serious side effects after eating a contaminated food product? If so, you may have been sickened by a foodborne illness. Statistics show you're not alone—48 million people suffer from food poisoning each year, and many never realize their symptoms were caused by dangerous bacteria lurking in something they ate. If you are now left with piles of medical bills or many missed days from work, contact Edgar Snyder & Associates right away. You may have a case, but evidence disappears quickly, and there are time limits to file a claim. Call 1-866-943-3427, or fill out the form at the top right of this webpage for a free legal consultation. There's no obligation to use our services, so you have nothing to lose. Find out if you have a case today. Source: “USDA: Tainted beef recall expands, 35 states now included.” Fox59.com. March 7, 2014.